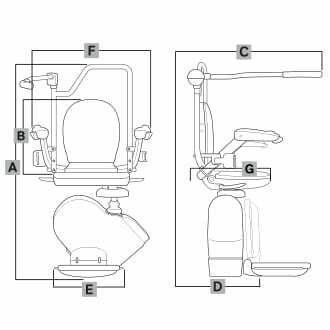 BROOKS-SL-SS – It can be a problem when two people with different requirements both need to use to the same stairlift. 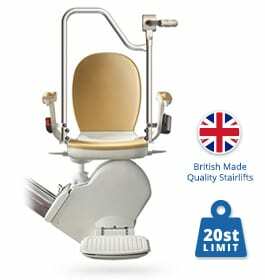 But the issue is resolved with the BROOKS-SL-SS Brooks Sit and Stand model – the perfect solution for people sharing a home and sharing a stairlift. Its easy to use controls are approved by the Arthritis Foundation, and it comes with a range of features to ensure safety and comfort. 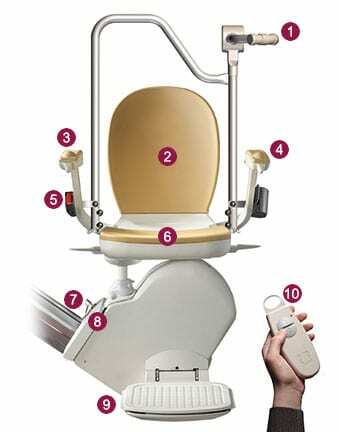 The stairlift has inbuilt flexibility to accommodate the needs of two different users. It is reliable and affordable and because it is fitted to the stairs rather than the wall there is no need for extra building work or any disruption to decor. The BROOKS-SL-SS model is fitted with a grab rail for extra security and it has all the usual features you would expect – such as a back rest and comfortable seat; fold up arms, seat and footrest; a safety belt and a locking swivel seat. It also has a removable key to prevent any unauthorised use, two remote controls and sensors which will bring the lift to a halt if it meets any obstruction. 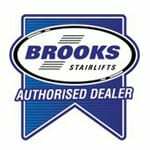 All of Brooks’ stairlifts are tested to ensure they comply with European safety standards.